Jeff Kerr of the Philadelphia Eagles on 247Sports joins Kevin Boilard to discuss the top 10 free agents the Eagles should target this off-season. Jeff Kerr of the Philadelphia Eagles on 247Sports explains why the team could be looking to trade up in the first round of the 2019 NFL Draft. Jeff Kerr of the Philadelphia Eagles on 247Sports joins Kevin Boilard to highlight some offseason storylines. Jeff Kerr of the Philadelphia Eagles on 247Sports joins Kevin Boilard to break down a blueprint for the NFL Draft. 247Sports Philadelphia Eagles reporter Jeff Kerr joins Kevin Boilard to discuss the current situation at running back for the Eagles. 247Sports NFL Analyst Kevin Boilard breaks down the latest NFC East title projections from SportsLine. Jeff Kerr of the Philadelphia Eagles on 247Sports projects a contract extension for quarterback Carson Wentz. Jeff Kerr of the Philadelphia Eagles on 247Sports joins Kevin Boilard on the 247Sports NFL Free Agency Special on Facebook Live to discuss where the team currently stands. Jeff Kerr of the Philadelphia Eagles on 247Sports discusses the team's reported trade with the Tampa Bay Buccaneers for wide receiver DeSean Jackson. NFL writer Pete Prisco breaks down the reunion in Philadelphia for WR DeSean Jackson. 247Sports Philadelphia Eagles reporter Jeff Kerr joins Kevin Boilard to discuss the three steps the Eagles must take to dominate NFL Free Agency. Jeff Kerr of the Philadelphia Eagles on 247Sports joins Kevin Boilard to name five NFL Combine standouts who would be perfect fits. Jeff Kerr of the Philadelphia Eagles on 247Sports joins Kevin Boilard to discuss Nick Foles' potential fit with the Jaguars. Philadelphia Eagles general manager Howie Roseman speaks with reporters at the NFL Scouting Combine. Philadelphia Eagles head coach Doug Pederson speaks to reporters at the NFL Scouting Combine. The Philadelphia Eagles at the NFL Combine on 247Sports. Jeff Kerr of the Philadelphia Eagles on 247Sports breaks down the impact of the team's recent changes in the personnel department and along the coaching staff. Jeff Kerr of the Philadelphia Eagles on 247Sports joins Kevin Boilard to predict where the Eagles' biggest free agents will sign this off-season. 247Sports NFL Analyst Kevin Boilard explains why using the franchise tag and trading Nick Foles is safer than letting him walk in free agency. Jeff Kerr of the Philadelphia Eagles on 247Sports joins Kevin Boilard to discuss the Eagles decision to go with Carson Wentz. Jeff Kerr of the Philadelphia Eagles on 247Sports joins Kevin Boilard to break down the future of Nick Foles and the Philadelphia Eagles. Jeff Kerr of the Philadelphia Eagles on 247Sports joins Kevin Boilard to pick which head coach he'd rather have. 247Sports NFL Analyst Kevin Boilard explains why the Dallas Cowboys have the most stable quarterback situation in the NFC East with Dak Prescott as the starter. Would Eagles QB Carson Wentz have beaten the Saints? Jeff Kerr of the Philadelphia Eagles on 247Sports joins Kevin Boilard to discuss what could have happened if a healthy Carson Wentz played against the Saints. Jeff Kerr of the Philadelphia Eagles on 247Sports joins Kevin Boilard to share what the Eagles learned from failing to repeat as Super Bowl champions. Jeff Kerr of the Philadelphia Eagles on 247Sports joins Kevin Boilard to project what's next for Nick Foles. Jeff Kerr of the Philadelphia Eagles on 247Sports breaks down the team's 20-14 loss to the New Orleans Saints in the NFC Divisional round. On this week's episode of The Tuesday Touchdown, 247Sports' NFL analyst Kevin Boilard discusses the crazy personal connection between Philadelphia Eagles QB Nick Foles and New Orleans Saints QB Drew Brees. Why did the Eagles leap the Cowboys in the Super Bowl odds? On this week's episode of The Tuesday Touchdown, 247Sports' NFL analyst Kevin Boilard discusses how the Philadelphia Eagles jumped ahead of the Dallas Cowboys in the latest Sportsline Super Bowl odds. On this week's episode of The Tuesday Touchdown, 247Sports' NFL analyst Kevin Boilard discusses who he thinks was the biggest surprise team to advance to the next round in the NFL playoffs. On The Tuesday Touchdown at 247Sports, NFL Analyst Kevin Boilard draws one crucial comparison between Eagles QB Nick Foles and Cowboys QB Dak Prescott. On The Tuesday Touchdown at 247Sports, Philadelphia Eagles writer Jeff Kerr joins Kevin Boilard to discuss Nick Foles, the New Orleans Saints game and the quarterback situation moving forward. On CBS Sports HQ, Kelly Stewart and Larry Hartstein break down the top betting angle for the Eagles-Saints matchup on Sunday. On The Tuesday Touchdown at 247Sports, Philadelphia Eagles writer Jeff Kerr joins NFL Analyst Kevin Boilard to weigh the possibility of a Carson Wentz comeback. On The Tuesday Touchdown at 247Sports, Philadelphia Eagles writer Jeff Kerr joins NFL Analyst Kevin Boilard to lay out the test ahead for Nick Foles. Jeff Kerr of the Philadelphia Eagles on 247Sports details the team's unlikely path to the NFC Playoffs. Previewing the Eagles and Redskins in Week 17, presented by Buffalo Wild Wings. Jeff Kerr of the Philadelphia Eagles on 247Sports reacts to Nick Foles' heroic performance against the Houston Texans in Week 16. Ian Eagle and Dan Fouts recap the Eagles 32-30 win over the Texans to keep their playoff hopes alive. Evan Washburn catches up with Nick Foles after the 32-30 win over the Texans to discuss the final drive of the game and how the Eagles continue to overcome adversity. On CBS Sports HQ, Kelly Stewart offers her expert picks for the Texans and Eagles, presented by Applebee's. On The Tuesday Touchdown at 247Sports, NFL Analyst Kevin Boilard checks the Philadelphia Eagles' stock with Nick Foles at QB. Previewing the Texans and Eagles in Week 16, presented by Buffalo Wild Wings. Jeff Kerr of the Philadelphia Eagles on 247Sports explains why the team must bring back Nick Foles in 2019. 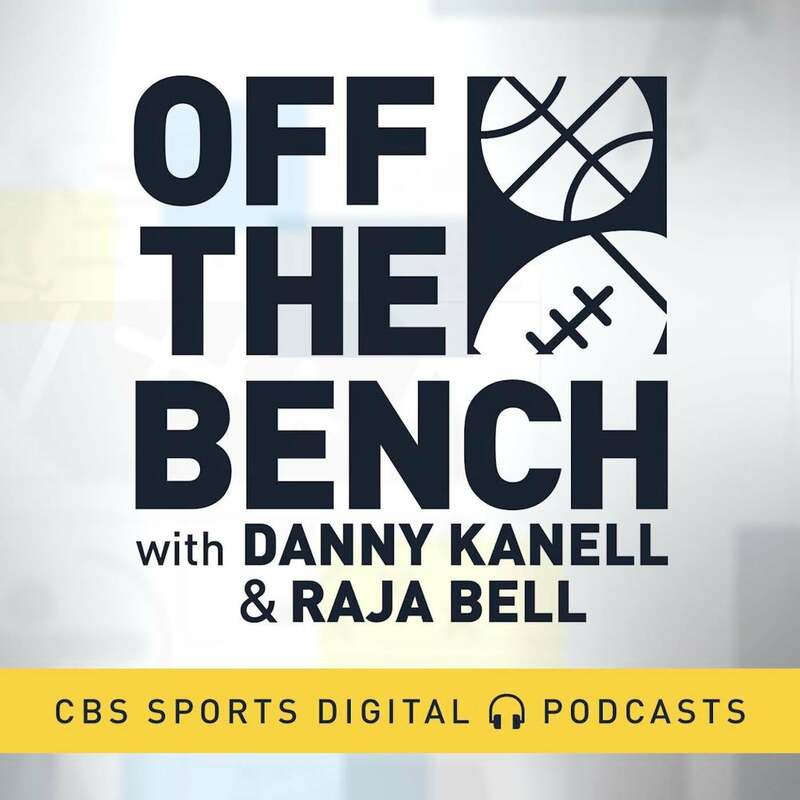 On CBS Sports HQ, CBS Sports NFL analyst Brady Quinn joins Tommy Tran to break down the Eagles' victory over the Rams. Fantasy football expert Jamey Eisenberg discusses how the Wentz injury will impact the Eagles this season. On CBS Sports HQ, Jamey Eisenberg and Dave Richard join Tommy Tran to discuss the report of Carson Wentz's fractured vertebrae. How does Nick Foles affect Eagles' gameplan? 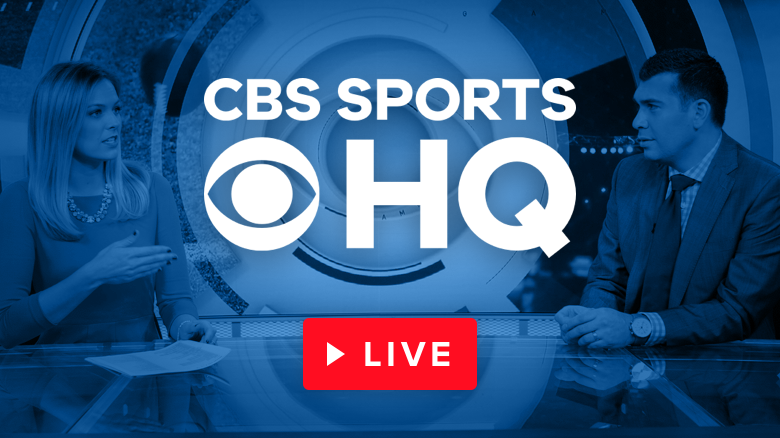 On CBS Sports HQ, CBS Sports NFL analyst Brady Quinn joins Casey Keirnan and Tommy Tran to discuss how the Eagles will plan their game around Nick Foles. On CBS Sports HQ, Pete Prisco and Kelly Stewart offer their expert picks for the Eagles and Rams on Sunday Night Football, presented by Applebee's. Jamey Eisenberg and Pete Prisco discuss what it means for the Eagles if Carson Wentz can't play Week 15. On CBS Sports HQ, CBS Sports NFL analyst Brady Quinn joins Jorge Andres and Casey Keirnan to break down the matchup between the Eagles and Rams. Brady Quinn and Pete Prisco to discuss what the Eagles must do to secure a playoff spot. Previewing the Eagles and Rams in Week 15, presented by Buffalo Wild Wings. On CBS Sports HQ, Kelly Stewart and Kenny White break down how to bet the Eagles-Rams SNF game. Jeff Kerr of the Philadelphia Eagles on 247Sports breaks down the team's 29-23 loss to the Dallas Cowboys in overtime in Week 14. On CBS Sports HQ, CBS Sports NFL analyst Brady Quinn joins Casey Keirnan and Jorge Andres to break down what the Eagles need to do to defeat the Cowboys. On CBS Sports HQ, Pete Prisco and Kelly Stewart offer their expert picks for the Eagles at Cowboys, presented by Applebee's. On The Tuesday Touchdown, 247Sports NFL Analyst Kevin Boilard lays out the Philadelphia Eagles' path to the NFL Playoffs. 247Sports Philadelphia Eagles reporter Jeff Kerr joins Kevin Boilard to discuss the impact Golden Tate is having on the Eagles' offense. Can Eagles take down three straight division leaders? 247Sports Philadelphia Eagles reporter Jeff Kerr joins Kevin Boilard to discuss if the Eagles can defeat three straight division leaders in the upcoming weeks. 247Sports Philadelphia Eagles reporter Jeff Kerr joins Kevin Boilard to discuss if Ertz is the NFL's premier tight end. Previewing the Eagles and Cowboys in Week 14, presented by Buffalo Wild Wings. On CBS Sports HQ, Kelly Stewart and Kenny White break down the best underdog play for Week 14 in the NFL. After Eagles take down Redskins, who will win the NFC East? On CBS Sports HQ, CBS Sports NFL writer Ryan Wilson joins Tommy Tran to break down the NFC East divisional race. On CBS Sports HQ, CBS Sports NFL writer Ryan Wilson joins Tommy Tran to break down the Eagles' victory over the Redskins. Jeff Kerr of the Philadelphia Eagles on 247Sports joins Kevin Boilard to lay out the path for the Eagles to make the playoffs. Jeff Kerr of the Philadelphia Eagles on 247Sports joins Kevin Boilard to discuss how the Eagles can get off to a faster start. Previewing the Redskins and Eagles in Week 13, presented by Buffalo Wild Wings. On CBS Sports HQ, Micah Roberts and Kenny White break down how to bet the Redskins-Eagles MNF game. Jeff Kerr of the Philadelphia Eagles on 247Sports shares his biggest takeaway from the team's Week 12 win over the Giants. Jeff Kerr of the Philadelphia Eagles on 247Sports joins Kevin Boilard to discuss how Carson Wentz can return to MVP form. Jeff Kerr of the Philadelphia Eagles on 247Sports joins Kevin Boilard to break down how the Eagles can right the ship in Week 12 vs. the Giants. Jeff Kerr of the Philadelphia Eagles on 247Sports joins Kevin Boilard to layout the Eagles' path to the playoffs. Brady Quinn breaks down the Eagles' chances of making the playoffs. Previewing the Giants and Eagles in Week 12, presented by Buffalo Wild Wings. Pete Prisco and Brady Quinn give you their Pickem picks for Week 12 of the 2018 NFL season. Do the Eagles have any life in the NFC East? Jeff Kerr of the Philadelphia Eagles on 247Sports delivers his biggest takeaway from the team's Week 11 loss to the Saints. On The 247Sports Tuesday Touchdown, NFL Analyst Kevin Boilard projects the future for the NFC East. Previewing the Eagles and Saints in Week 11, presented by Buffalo Wild Wings. Jeff Kerr of the Philadelphia Eagles on 247Sports joins Kevin Boilard to explain the team's offensive struggles. Jeff Kerr of the Philadelphia Eagles on 247Sports joins Kevin Boilard to highlight the team's biggest concern. Jeff Kerr of the Philadelphia Eagles on 247Sports joins Kevin Boilard to break down the team's plan for Golden Tate. Previewing the Cowboys and Eagles in Week 10, presented by Buffalo Wild Wings. Micah Roberts and Kenny White break down how to bet the Cowboys-Eagles SNF game. Micah Roberts and Kenny White discuss their must see teasers for week 10 in the NFL. 247Sports NFL Analyst Kevin Boilard joins Mike DiSipio to discuss whether the Eagles have shaken their Super Bowl hangover. On The Tuesday Touchdown at 247Sports, NFL Analyst Kevin Boilard takes a closer look at the Philadelphia Eagles. Jeff Kerr of the Philadelphia Eagles on 247Sports joins Kevin Boilard to discuss how the Eagles can enter the bye week on a high note. Jeff Kerr of the Philadelphia Eagles on 247Sports joins Kevin Boilard to break down the Eagles' biggest challenge as they travel overseas in Week 8. Jeff Kerr of the Philadelphia Eagles on 247Sports joins Kevin Boilard to discuss the pressure the Eagles are facing heading into Week 8. On CBS Sports HQ, CBS Sports NFL Insider Jason La Canfora discusses the Eagles' potential trade options following the slow start to their season. 247Sports NFL Analyst Kevin Boilard joins Mike DiSipio to discuss how the Eagles can help Carson Wentz after their Week 7 loss to the Carolina Panthers. On The Tuesday Touchdown at 247Sports, NFL Analyst Kevin Boilard names one thing he wants to see from the Philadelphia Eagles. Jeff Kerr of the Philadelphia Eagles on 247Sports joins Kevin Boilard to discuss how the Eagles can improve on defense. Jeff Kerr of the Philadelphia Eagles on 247Sports joins Kevin Boilard to highlight the success of the Carson Wentz to Alshon Jeffery connection. Jeff Kerr of the Philadelphia Eagles on 247Sports joins Kevin Boilard to share his keys to an Eagles victory over the Panthers. Jeff Kerr of the Philadelphia Eagles on 247Sports joins Kevin Boilard to touch on Carson Wentz as league MVP. Jeff Kerr of the Philadelphia Eagles on 247Sports joins Kevin Boilard to examine the impact of Jason Peters' injury. Jeff Kerr of the Philadelphia Eagles on 247Sports joins Kevin Boilard to lay out the path to an NFC East title. Do the Eagles need to add a RB before trade deadline? Jeff Kerr of the Philadelphia Eagles on 247Sports joins Kevin Boilard to highlight the team's need for a No. 1 running back. What impact does RB Jay Ajayi's injury have on the Eagles? 247Sports breaks down the biggest matchup in the Giants vs. Eagles Week 6 Thursday Night game. Pete Prisco and Brady Quinn preview the Eagles at Giants, presented by Buffalo Wild Wings. What should Eagles do after loss of Jay Ajayi? What move should the Eagles make after loss of RB Jay Ajayi? 247Sports breaks down the new signal-callers in the Vikings vs. Eagles NFC Championship rematch in Week 5. Can the Vikings get their revenge on the Eagles in Philly? 247Sports NFL Analyst Kevin Boilard joins Mike DiSipio to discuss the defending champ's struggles on the road. Could Eagles Make Move For Le'Veon Bell? The Fantasy Football Today crew breaks down JLC's reporting that the Eagles are showing interest in Bell. Has the Eagles backfield become the Patriots backfield? Is there anyone to trust in the Eagles backfield? 247Sports Philadelphia Eagles reporter Jeff Kerr joins Kevin Boilard to grade Carson Wentz' return as the starter. When will Eagles start to get weapons back on offense? 247Sports Philadelphia Eagles reporter Jeff Kerr joins Kevin Boilard to discuss when the Eagles will regain their offensive firepower. CAPTION: 247Sports Philadelphia Eagles reporter Jeff Kerr joins Kevin Boilard to discuss why the Eagles defense comes up in big situations. Philadelphia Eagles center Jason Kelce joins Bill Reiter to talk about Carson Wentz's return, his Super Bowl parade outfit, and to read one of the beard poems he has written in partnership with the Old Spice Beard Collection. Tune into Reiter's Block every Monday through Thursday at 5 pm ET. Is it time for owners to break up with QB Carson Wentz? Former NFL DB Bryant McFadden breaks down Week 3 expectations for Carson Wentz. CBS Sports fantasy football expert Jamey Eisenberg tells you which wide receivers to start and sit in Week 3 for your fantasy teams. CBS Sports fantasy expert Jamey Eisenberg joins Nick Kostos to take a look at some key injuries heading into Week 3 of the NFL season. CBS Sports senior NFL writer Pete Prisco breaks down what to expect from Carson Wentz in his 2018 debut. WIP radio host and Eagles Postgame reporter Paul Jolovitz joins HQ to discuss the banged up WR corps and when we should expect to see Alshon Jeffery. Should Eagles be concerned about lapses in secondary? 247Sports Philadelphia Eagles reporter Jeff Kerr joins Kevin Boilard to discuss if fans should be worried about Philly's secondary issues. 247Sports Philadelphia Eagles reporter Jeff Kerr joins Kevin Boilard to discuss what Wallace's injury will mean for primary wide receiver Alshon Jeffery. 247Sports Philadelphia Eagles reporter Jeff Kerr joins Kevin Boilard to discuss the impact Wentz will have in his first game back from injury. On CBS Sports HQ, Jamey Eisenberg reports Carson Wentz will start Sunday against the Colts. Senior NFL writer Pete Prisco breaks down what to expect from Wentz and the Eagles. Jeff Kerr of the Philadelphia Eagles on 247Sports joins Kevin Boilard to make his Week 2 score prediction. Jeff Kerr of the Philadelphia Eagles on 247Sports joins Kevin Boilard to deliver his Week 2 keys to victory. Jeff Kerr of the Philadelphia Eagles on 247Sports is connecting the dots on Wentz and Jeffery's return. Jeff Kerr of the Eagles on 247Sports knows the Eagles defense will slow down Ryan Fitzpatrick. This is how. Jamey Eisenberg and Pete Prisco discuss the fantasy impact of Foles and Allen starting Week 2. NFL Insider Jason La Canfora discusses the Eagles' QB situation moving forward and just how long we should expect Carson Wentz to be out. Reuben Frank of NBC Sports Philadelphia joins HQ to preview the Eagles Week 2 matchup with the Buccaneers. Eagles could revitalize Dez Bryant's career if they sign him. Jeff Kerr of the Philadelphia Eagles on 247Sports says the Eagles need to take a look at Dez Bryant. 247Sports NFL Analyst Kevin Boilard details the Eagles win on opening night and how the team can defend their title the rest of the season. Are Eagles on the way to fielding NFL's No. 1 defense? Jeff Kerr of the Philadelphia Eagles on 247Sports joins Kevin Boilard to project the success of the Philadelphia Eagles defense. Jeff Kerr of the Philadelphia Eagles on 247Sports joins Kevin Boilard to discuss how the Eagles can build on their opening night victory. Was Philly Special the turning point for Eagles vs. Falcons? Jeff Kerr of the Philadelphia Eagles on 247Sports joins Kevin Boilard to break down the Philly Special's impact in the Eagles win on opening night.